We did get some sunshine yesterday... but I did choose to come to Indonesia during the rainy season. So it has rained every day and really hard at night. The weather is making it darn tough to give this white girl a tan. But it doesn't matter when I'm underwater. I saw lots of nudis yesterday but only one was new (see #16 below). It was difficult to take a picture of and I cannot seem to find it in the identification books. 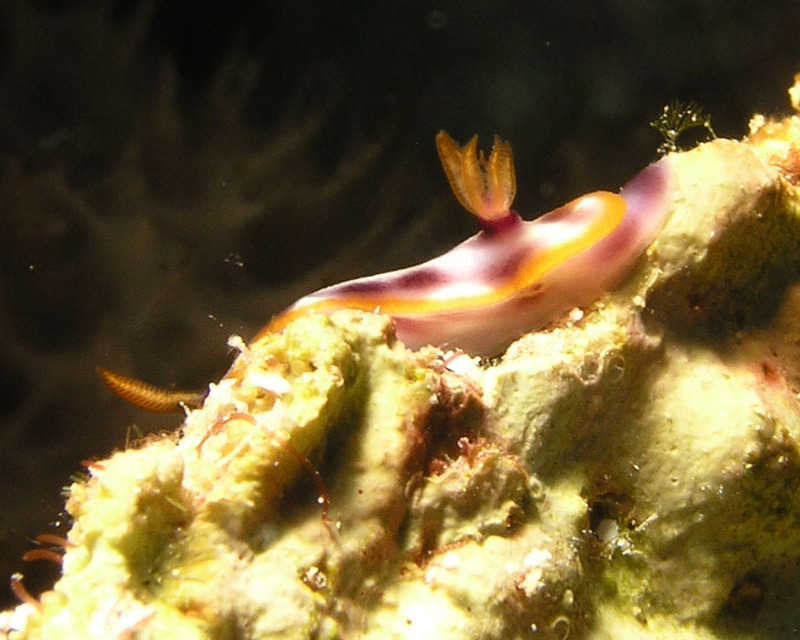 I asked all of the dive staff and they all said that it is a Chromodoris something... so I sent a picture of it off to Neville Coleman, Terry Gosliner and my buddy Graham Abbott to see if they know which one this is. 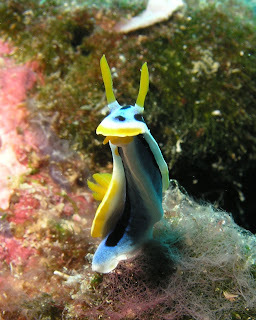 Oh yes, there are several nudibranch experts out there... and only a few (like 3) scientists who are trained to identify them. I met Terry this fall and he said that there is a several year waitlist for nudibranchs to be identified as new species. Best 'fishes' for a fun Superbowl day!